If you are facing a controlled substance crime it is extremely important that you have an experienced criminal defense attorney with a proven track record in winning criminal cases. 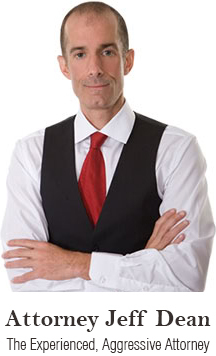 Jeff Dean has that record, and he is widely recognized as one of the most successful and respected attorneys in this area of the law. Judges have commended Jeff for his wins and advocacy, and other attorneys often call upon Jeff for his assistance in the evaluation of their client’s cases. Time and time again, Jeff has won DISMISSALS and NOT GUILTY verdicts for his clients in criminal cases. Jeff has even won in cases where the evidence of guilt seemed overwhelming. In a controlled substance possession case, he won a NOT GUILTY verdict where the police found the drugs in his client’s pocket upon arrest and said the client confessed to them. In your case, Mr. Dean will identify the best defense strategy and he will fight to win. He can assert that the state has not proven your guilt beyond a reasonable doubt. In a criminal case, the prosecutor must prove that the defendant is guilty beyond a reasonable doubt. This is a high standard and means that all doubts about the meaning of evidence are to be resolved in your favor. To win your case Mr. Dean need only show that there is a reasonable doubt about your guilt. You are presumed innocent under the law. Because you have been charged with a controlled substance crime does not mean you are guilty. Drug crimes can involve crack cocaine, marijuana, ecstasy, crystal meth, heroin, or even prescription medication. There are various crimes within the state’s controlled substance laws, all carrying various penalties. In order to determine the penalty for a specific drug crime, controlled substances are divided into five schedules. The most serious substances are classified as Schedule I drugs, while the least serious substances are classified as Schedule V drugs. In these schedules, the substances are further classified as hallucinogens, opium, heroin, toxic substances, amphetamines, and the like. The severity of the crime will depend on factors such as whether the drug was sold or possessed, how much of it was present, and if the individual had any former drug convictions. The charges and possible conviction will also depend on the type of drug involved. Under Minnesota Statutes Chapter §152, controlled substance crimes are classified into five categories ranging from Controlled Substance Crime in the First Degree to Controlled Substance Crime in the Fifth Degree. An individual manufacturing any amount of methamphetamine may also be charged with controlled substance crime in the first degree. Penalties include up to 30 years imprisonment and/or a fine of up to $1,000,000. Sale of Schedule I or II narcotic drugs to a person under 18 years of age in a drug treatment center or a park, school or public housing zone. Penalties include imprisonment of up to 25 years and/or a fine of up to $500,000. Penalties include up to 20 years imprisonment and/or a fine of up to $250,000. Penalties include up to 15 years imprisonment and/or a fine of up to $100,000. Penalties include up to 5 years imprisonment and/or a fine of up to $10,000.